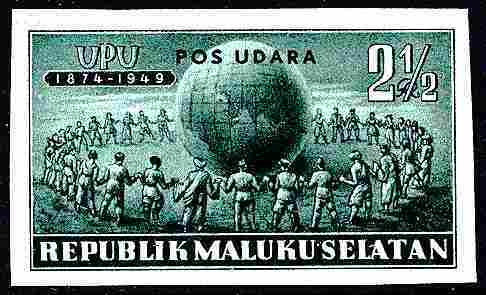 UPU 2nd issue, Additional 1Rupiah top value, perforated. all holding hands around the world. 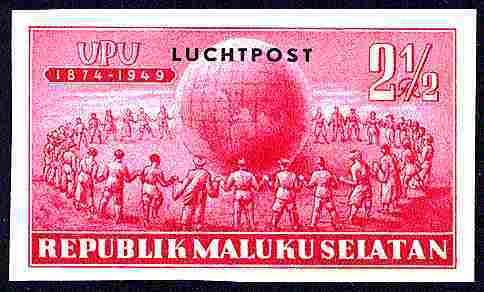 Overprinted in dutch LUCHTPOST for airmail. 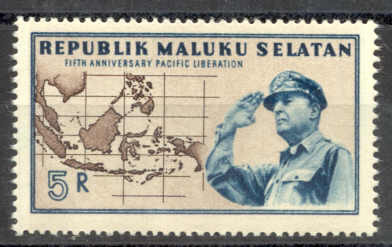 Overprinted in indonesian POS UDARA for airmail. located in the Banda Sea. Its main islands are Ceram, Ambon and Buru. 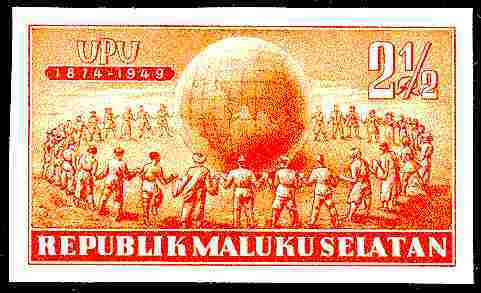 about 1 million people who live in the Republic of South Moluccas. 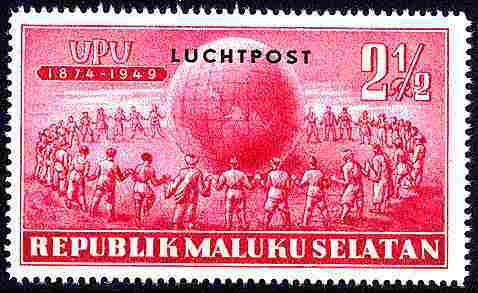 There are currently 50,000 Moluccans living in the Netherlands. 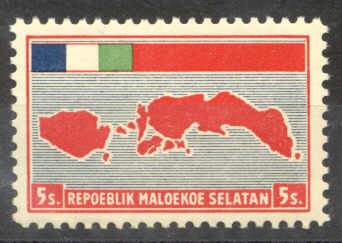 Republic of South Moluccas, the Republik Maluku Selatan (RMS). the region into the Dutch East Indies. Eastern Indonesia, one of the member-states of the Federation. determination and independence as a free republic. 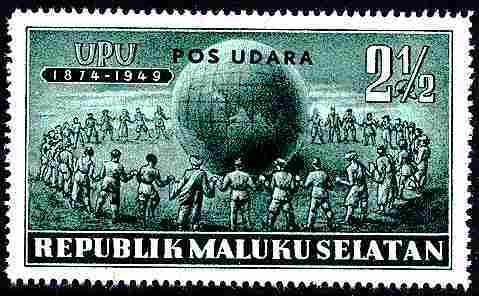 1951 Moluccan islands were occupied by Indonesian forces. government in exile in the Netherlands. place between the two governments. 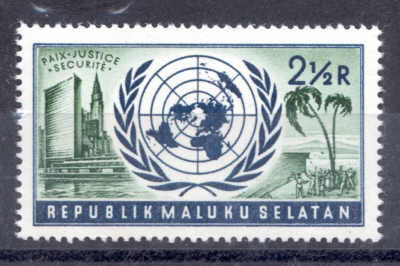 1991 The South Moluccas became a member of UNPO. 1996 The repression of the Moluccans continues. RMS government and people on the ground. still active trying to instabilize the government of Republic of Indonesia. settled in the Netherlands, where they still form a community ca. their political hopes rested for a while. representatives were collaborators and potential insurgents. Javanese, and that their region would lose it's cultural identity. clashes between different ethnic groups take place. overcome the tension and establish a multicultural society.